Since Lee published a pioneering paper about polydopamine (PDA), application of that polymer in a number of areas has grown enormously in the last 10 years and is still growing. 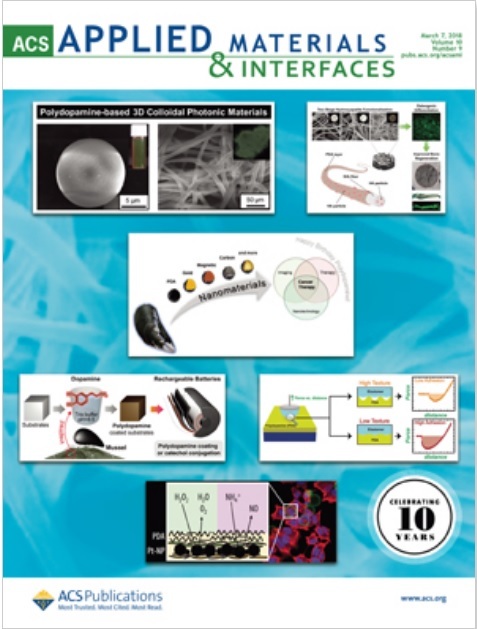 PDA’s spectacular success can be attributed to its unique features, i.e., simple preparation protocol, strong adhesive properties, easy and straightforward functionalization, and biocompatibility. Therefore, this polymer has attracted the attention of a vast group of scientists, including those working in the field of nanomedicine. In consequence, polydopamine has been merged with various nanostructures that differ in size and nature, which has resulted in novel types of multifunctional nanomaterials that have recently been extensively exploited in nanomedicine and particularly in cancer therapy. The aim of this article is to offer insight into the latest achievements (up until the end of 2016) in the field of synthesis and application of nanomaterials based on polydopamine and their application in cancer therapy. The conclusions regarding the application of polydopamine-based nanoplatforms in this area and future prospects are given at the end.